In May Phoenix came out of “retirement” and launched his Blogtalk Radio broadcast where he constantly assures his listeners of the impending revaluation of the Iraqi dinar when he’s not discussing solar flares, earthquakes, astrology, the Mayan calendar, EMP, comets … etc. In May “Prophet” Kim Clement said something would happen suddenly with the dinareee – no rate or date was given and no rate or date change has yet occurred. In July Roger Dorman announced that he was accepting a position with the fine folks at The Treasury Vault, but only after a few curious dinarians discovered that its owner is Angela Dorman, his wife. I’d like to take a few minutes to thank my readers for their support over the past few months. This wasn’t an easy task, trying to go up against well established gurus with hundreds or thousands of followers who make people think that they’re going to be rich any day now. I’m not going to draw thousands of followers by telling people that they’re probably not going to get rich, or that the most they’ll get is probably 2 or 3 times their initial investment, and that there’s a good chance that they’ll actually lose money. I can’t post links to my site on dinar forums of course. Many of them have been mentioned in my posts, and others consider what I do “bashing”. You’ll never see any of my material posted at Dinar Daddy, despite the fact that the owner Roger Dorman regularly posts what he admits to knowing are blatant lies. I’m not posted at Dinar Guru because I’m not a guru. I don’t advertise so I don’t have banners anywhere. People find my site through Google searches, trying to find the facts on this investment, and trying to find out who the hell these douchebag gurus and pumpers are, and then they post links to this blog either on their blogs, on Facebook, in emails, or on another forum before some mod usually deletes them. This site has increased in popularity primarily because of word of mouth advertising. So it’s you, my readers, who get the word out. I truly appreciate that. I remember the first few weeks I was only getting a few hits a day, and most of them were either me checking my posts or some faceless web crawler looking for information to index. It seemed like nobody was interested. I would type “dinar douchebags” in Google and nothing came up, so obviously Google wasn’t helping. But I just kept on posting. It was like Field of Dreams … “If you build it they will come”. Finally Google started cooperating, people started visiting, and the next thing I knew gurus were protesting and scrambling to cover their backsides. The #1 post on this blog is by far “The Pumpers”, where I list the vilest offenders and any information I have on who they are and what they do. It was one of my first posts, and it has received over 3 times as much traffic as any other post. People want to know who these guys are. #2 is the first Douchie award for Breitling, and #3 is “Breitling Busted!!!”. Yes, Breitling has been very good for my blog. So many out there consider Mr. B one of the good guys. I think a lot of people are shocked to find out how much wrong information he puts out and how shady his business practices are. #4 is “Dinar researchers/Analysts”. A lot of people out there are looking for quality information because they’ve figured out that they’re not getting it from the gurus. #5 is “The Montana Trail (Part 2)” where I share my research on Adam Montana. I see many people now waking up to the fact that Adam Montana is not the brilliant dinar expert that many thought he was. His admitted background was as a corporate headhunter, not an investment or currency professional. The man apparently can’t even do basic math. It’s been a challenge all right, but the blog is gaining ground on the gurus. People email me all the time wanting to know what I know about this guy or that article, or when we’re going to see a class action lawsuit. Some ask me if there are any honest people to listen to. Some of course tell me that I’m a jerk and that the people I’m attacking are good people. Whatever. Some want to know who died and made me the judge of the gurus or the savior of the dinar world. Nobody. I just write what I think based on my experience and considerable research. If people don’t like what I write they don’t have to read it. But obviously many do read, and quite a few have thanked me for starting this blog to address the voluminous BS that has been spread throughout Dinarland. As we head into a new year I expect more of the same. I’ll keep awarding Douchies and keep posting from time to time, although I don’t anticipate being as active as I have been the last few months. Most of the information that people are looking for has already been posted. Hopefully we’ll have an arrest or two to announce, and maybe in increase or two in the IQD. 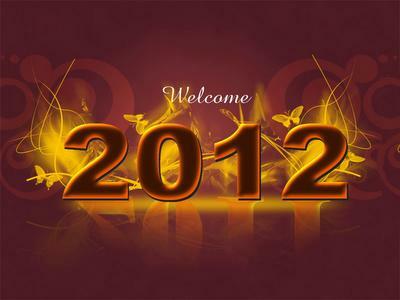 What will 2012 bring? Well I’m gonna go out on a limb and say that the 1170 rate will remain unchanged until at least April. I do anticipate that there will be a change in 2012, but whether it’s a straight up RV of the existing currency or a redenomination to a new currency I won’t speculate. I think it’s likely that forces opposing democracy in the region will test the Iraqi military and government now that US forces are gone. The escalation in violence will probably continue for awhile. Once that passes I think that everybody will start to feel better about the prospects of a free and prosperous Iraq. As for the prosperity of dinarians, we can only hope.